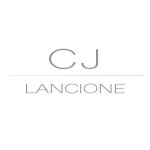 With degrees in styling and communications, CJ specializes in creative direction and branding for fashion, product, food, and interiors. Her work has spanned editorial, advertising, television, and e-commerce channels. Brands, designers, agencies, photographers, hair and makeup artists, other stylists, etc.